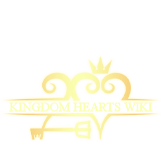 The Round Room is a joint community podcast organized by the Kingdom Hearts Wiki and The Keyhole. The podcast is usually hosted by Neumannz and Chainoffire with occasional guests. It covers the world of Kingdom Hearts, whether it's recent news, discussions, theories, speculation, or the occasional fandom. Check out the most recent episode of the Round Room! The Round Room Podcast often features guests which the Podcast Team will invite, from time to time, to join them in their discussions. Any user is allowed to sign up to be considered a guest on the podcast, provided they follow these rules/requirements, as well as any additional pre-requisites as established by the Podcast Team. You must have at least 300 edits on either site. You must have a Skype account that you are willing to share with the four other podcasters. Either it be a fake temporary one or a real one, you must have one. We will not accept Google+ or any other types of accounts for this, it MUST be skype. You must have a working quality microphone. We'll do a test with your mic and try to help you solve any issues you may have with it, but we're not miracle workers. No mic = no podcast. A camera is not required. You may only be in a podcast once. Once you've been in it, you may not sign up for it again. Your internet must be at a reasonable speed, if we are having technical issues, we will end the podcast, even if not everything was covered. Keep in mind that even if you meet the criteria, you may not be chosen. Guests chosen are at the discretion of the Podcast Team.